My nails are like my most important priority. Out of everything, they always have to be prim and proper. I mean you look at them everyday and in the job I am in, so do other people. As long as they are painted thats fine with me, these are not my real nails even though I so wish they were! 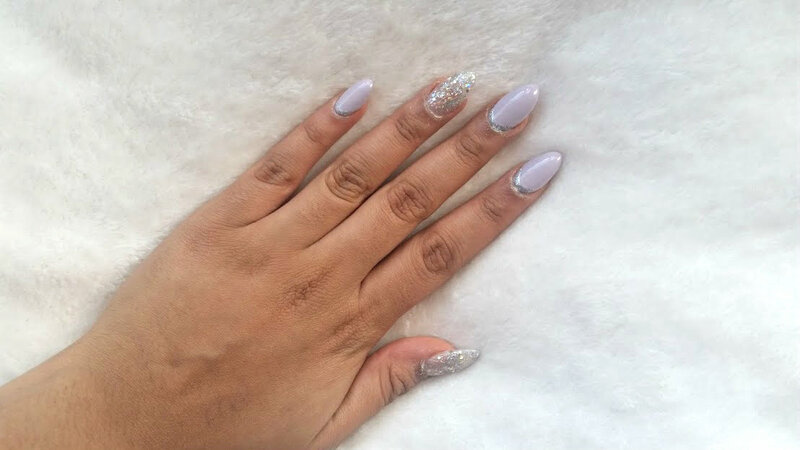 I wanted to go for something summery but too in your face and if you didn't know already, I love glitter. So my nails have to feature it someway. The nail lady did a cracking job this time round as usual, we went with China Glaze Lotus Begin on three nails, the same three also have a line of glitter at the cuticles. Then the thumb and ring finger have glitter on, which I am not sure of the shade but its from OPI. I'm in love with both the colour and the design! The shape is almond, easy to type with and keep a track on - slightly longer than I usually have but still amazing. I'm so happy that I have nails again and yes acrylics are bad and expensive, but I love them and would rather have nice look nails than ugly ones! 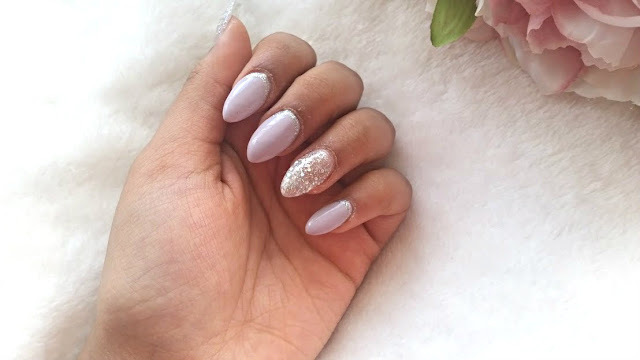 Whats on your nails at the moment?